All at 60s and 70s? Former RMS pupils from the 1960s are sometimes described as ‘the lost generation’: on leaving, they put as much distance between themselves and their alma mater as possible – and never looked back. However, this is probably no truer for sixties’ girls than it was for the 50s or the 70s. Or indeed any era. The Sixties has been singled out possibly because it was a time of great change throughout the world and a contrast to the perceived ultra-conservative mind set of the School. But if you believe that Sixties RMS was stuck in a time warp, you might be astonished to discover just what a period of change and development it was. If, when you think RMS, you think Indiana Jones 1930 buildings, you’re forgetting about the library and the science block – both built in the 1960s; you’re forgetting all the internal changes to accommodate developing curricula – 1960s; misremembering all the alterations made to existing buildings to better utilise the space – 1960s and on to the 1970s. Minutes of meetings are not the best bedtime reading but ploughing through a decade of them is certainly interesting. As a time travel method, they can be recommended. If you are familiar with the School site, try and imagine the non-existence of said library and science block. And also Bertha Dean, Florence Mason & Strathearn Houses. (If none of these names mean anything to you, your imagination will have to work overtime to invent blank spaces.) 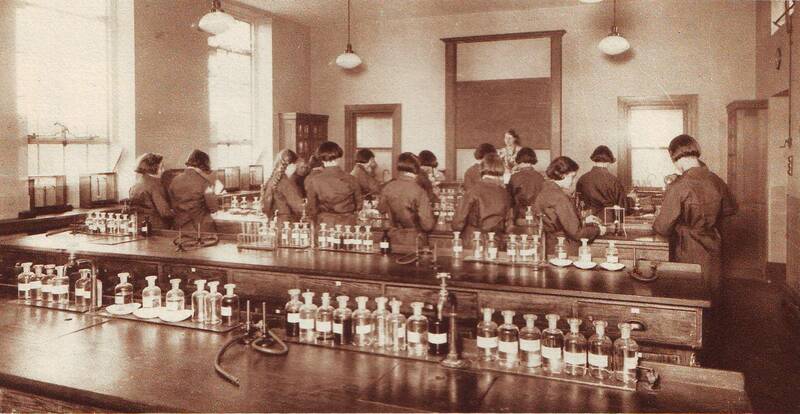 In case you’re wondering, there was a library and science labs before the 60s but they were in different places. 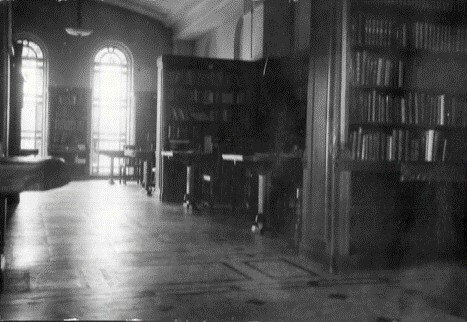 In 1964, consideration was being given for an improved library and extended science facilities. For the record, provision of a Sixth form house and the removal of Junior School from Weybridge to Rickmansworth were also under consideration: the former had to wait until 1981, the latter a mere eight years. As early as 1964, the idea of repositioning the Junior School in the redundant former San was being talked about, but that had to wait a further 47 years! Other changes that were discussed related to accommodation for staff, the replacement of boilers (£20,000 estimate even then so a major expenditure, the equivalent today of a cool 1.9 million.) and also ‘a covered-in space of sufficient size to accommodate 75 cars in marked bays, provided with sliding doors that could be locked and easily opened.’ The car may not have quite been king in 1964 but it was certainly a prince-in-waiting if that proposed provision is to judge by. The initial idea was for a new library in one of the quadrangles whilst science labs would either be on a new second floor above the existing labs or in the Garth. In March 1965, there was discussion about whether the foundations could be strengthened to allow for a second floor but – confusingly – the alternative of a building in the Garth with a 2nd storey [sic] connection to the main building was discussed. Clearly by this stage the writing was on the wall for Weybridge to leave Surrey – well, the Junior School Weybridge anyway – although it was 1973 before it happened. 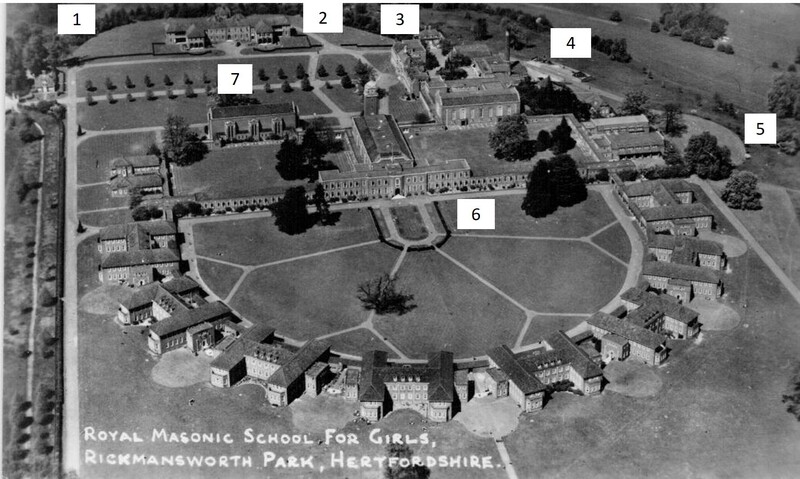 The ‘plateau’ which had once housed the tennis court for Park House, and which was used as the VIP enclosure on Sports Days (then on the Lowers) was considered suitable for building a new Junior School. This would mean the planning for the 75 parking spaces which were to be behind some existing garages (since demolished) and the Junior School would require extensive use of terracing on the eastern flank overlooking the Chess valley. 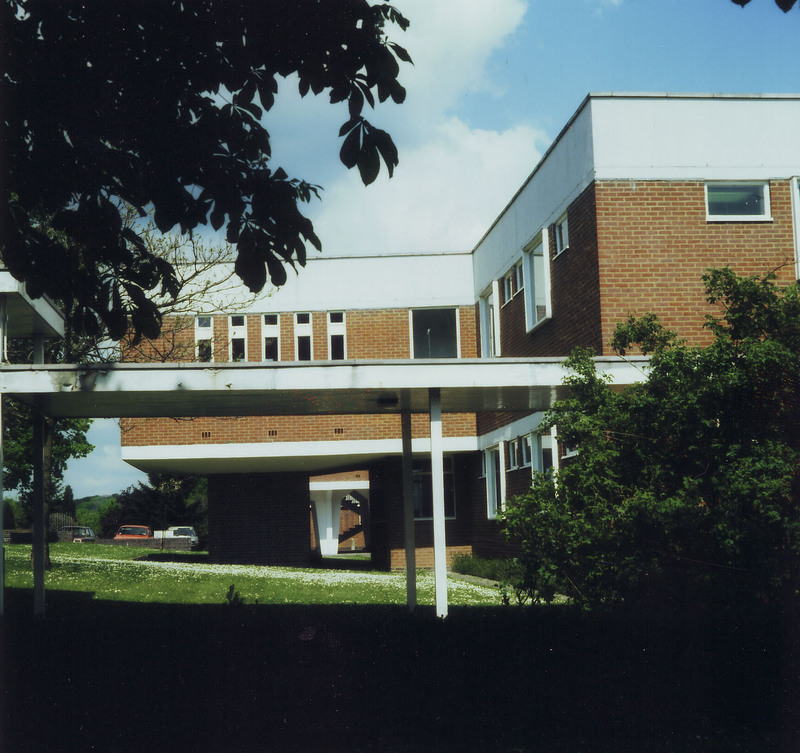 The bridge idea resurfaced in July 1968 to connect the new Science building to the School as there was a road between the two. Would there be a bridge over the access road, or a tunnel under it or [the option selected] should the road be diverted around the science block? So if you’ve ever wondered why the access road suddenly swings east, goes round a loop and then emerges at the top of South Drive, now you know. Once the idea of a new Science block was decided upon, it was realised that its design ‘could be functional rather than traditional since, as the site was beyond the general outline of the existing buildings, there was not the same need to harmonise with them’. The jury is out about whether the style of architecture used was functional, experimental or zeitgeist run mad. Whatever it was, the roof has given problems from the beginning. In comparison, the library ‘would need to harmonize with the existing buildings’. Both of these buildings (and indeed the other new buildings at this time) were all designed by the same architectural firm as the rest of the school: J L Denman & Son. 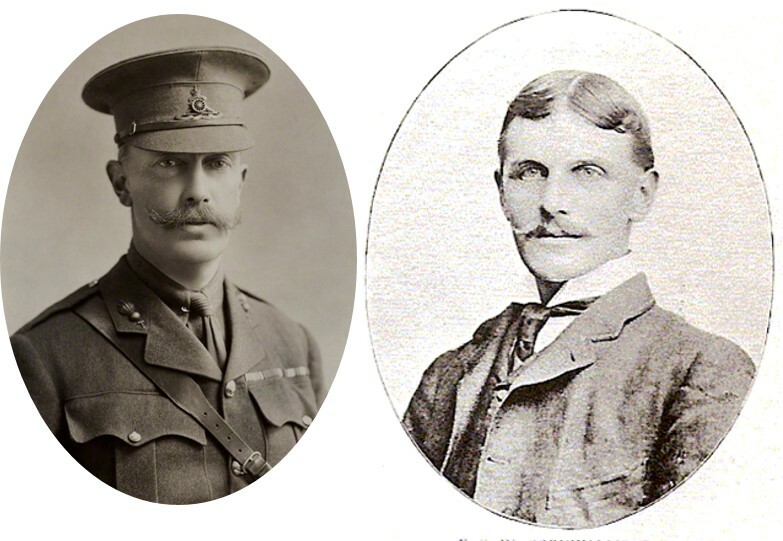 It seems most likely that John Bluet Denman was the architect of the science block and library and John Leopold Denman the staff accommodation: son and father in that order. 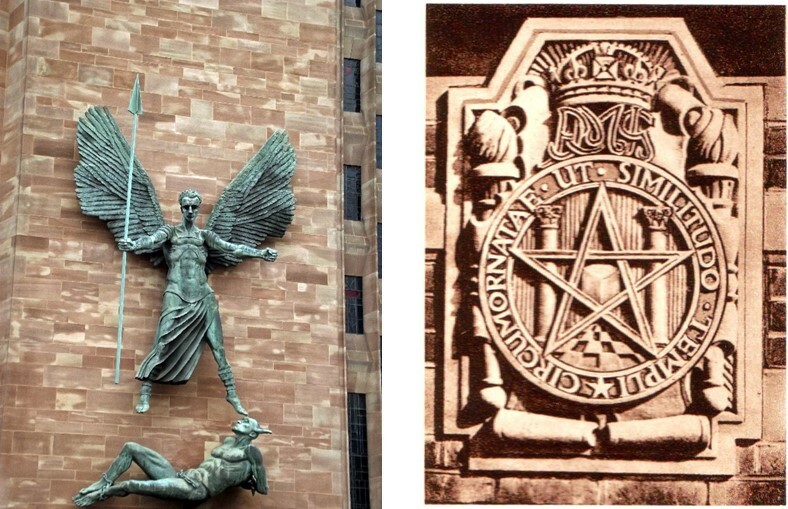 As part of the design of the library – once described by a pupil as the globular building in the Garth – it was felt some decoration was needed on an exterior wall, along the lines of Epstein’s St Michael at Coventry cathedral. Hmm – perhaps an overly ambitious description of the relief of the School badge that was put there. The library was constructed by James Langley & Co of East Park, Crawley at a cost of £107,989. The minutes contain some of the extraordinary detail discussed at these meetings: the borrowing system, which despite the installation of a ‘lending bureau’ was designed to take place in the central area ground floor; the style of bookshelves; the list of books to be purchased; and even exactly where the furniture was to be placed. The Librarian didn’t get a look in on these matters! Included in the design was a gold and silver chandelier, costing £988, intended to ‘enhance the beauty of an already imposing building’ and there appears to have been lengthy discussion about whether a winding mechanism for maintenance would be part of it. At an additional cost of £350, this was finally added as was concealed lighting for the dome. The gold-coloured carpet was estimated at £300 but actually cost £518. Even then, a fault was found and it had to be rewoven. The tables – designed by Denman – cost £76 each with sixty chairs @ a fiver a throw. The finished building was ready by 30 December 1969 although the opening ceremony was not until 1st December 1970, as recorded on the plaque above the door. The wording of this was discussed minutely but the work was done free of charge by L M Samuel who, as well as being a Freemason, was also a stonemason. 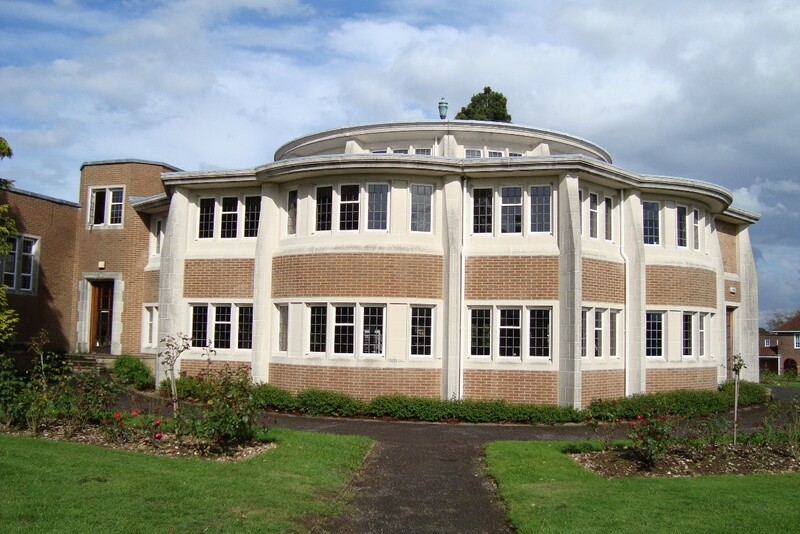 Neither the Science block nor the Library has ever been given a name although part of the Science block is called the Ashley Edwards Laboratories to acknowledge an extremely generous gift by that person. The accommodation buildings, however, were named. In Sept 1968 the suggested name for one was ‘Stradbroke House’, the name recorded without explanation for the choice. It seems likely that it was for George Edward John Mowbray Rous, 3rd Earl of Stradbroke (1862 –1947), who was Provincial Grand Master of Suffolk for forty-five years, and also Provincial Grand Master of Mark Masons of East Anglia. The accommodation block previously called Senior Staff block was going to be called Cornwallis House. Again the minutes simply note this but presumably the discussion had more detail. This is probably for Colonel Fiennes Stanley Wykeham Cornwallis, 1st Baron Cornwallis (1864 –1935), a British Conservative politician who was also an eminent Freemason (Provincial Grand master of Kent and a Past Grand Warden in the United Grand Lodge of England). By January 1969, however, the buildings were given the names they are known by today: Florence Mason and Bertha Dean Houses. 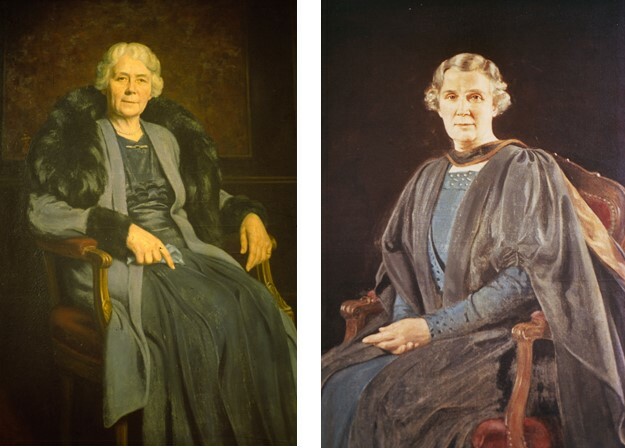 These two ladies were Headmistress and Matron at the time the School moved from Clapham and were instrumental in ensuring that everything ran smoothly – what was described at the time as ‘we had moved house, that was all: the meals were on time, the bathwater was hot’, a comment that glossed over the huge amount of planning that enabled this state to be reached. 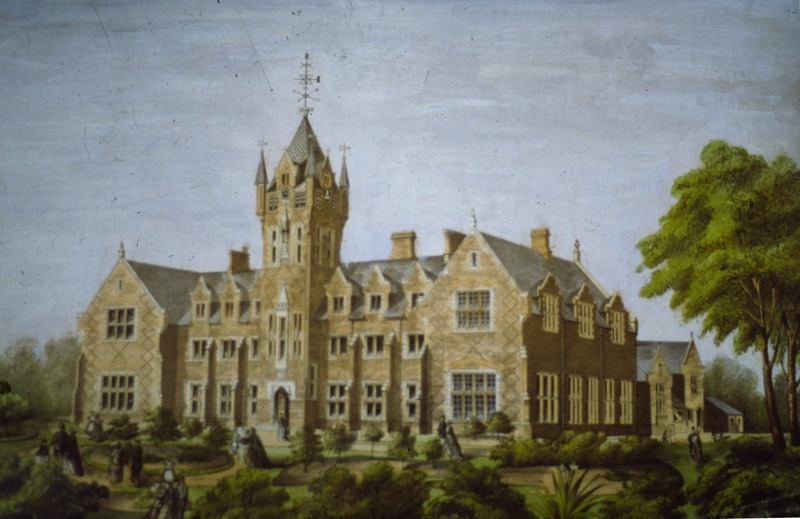 Strathearn House, the accommodation for the Headteacher, was a detached residence – a forward thinking move for the time, allowing that, in future, said person might be married and have a family. Until this time, all the Headmistresses were single, dedicated professionals. Married women did not have paid professional roles except through necessity. Times they were a-changing. By the end of a decade of construction, the various committees and sub-committees might have been forgiven for voting themselves out of existence but, no. The beginning of the 70s brought discussions about what to do with the old library, the old science labs, the old San; how to accommodate the Sixth form and the junior pupils and how to make provision for music and drama. Which last brings us very nicely up to date as a Performing Arts Centre is currently under construction and due to open in 2019. The 1970s for RMS was yet more building, innovation and change to keep abreast of modern life – decidedly a new chapter. Sara’s own memoirs of her time at RMIG give us a valuable and unique insight into her life at school. The School at this time was at Clapham where it had been since 1852. Sara describes her time there as being uneventful with a simple, but thorough, curriculum. It culminated in public exams set by Cambridge University, known as Cambridge Local Exams. As any modern practising teacher will affirm, at some point in their teens most girls switch overnight from being sugar and spice into monsters. This is clearly not a new phenomenon as Sara writes “We all went through a troublesome stage at about 13”. In her case, it coincided with “a certain class with a very ineffectual teacher. The poor thing was just a sitting duck” and Sara admits to being something of a ringleader in making trouble. The H.M. Sara refers to would have been Elizabeth Hutchinson, a former pupil herself. In equivalent value, that bonus would be worth £560 today so not an insignificant amount. Sara was very surprised to have been awarded the prize as, according to her memoirs, both she and the rest of the School had decided it would go to someone else. In Sara’s own words, the Headmistress was “a wise and discerning woman” who clearly knew how to get those with leadership qualities – well OK then, potential rebels – on her side! Sara’s silver medal would have been presented at prize day, a momentous occasion then as it still is today. Until very recently, these duos and trios were still a set piece on Prize Day and Drill is still very much a feature. The value of the prizes, it has already been seen, were large and pupils were asked to select what they would like. Today the girls receive books or book tokens but then, even those who selected books didn’t just receive a single book but perhaps a set of complete works, all beautifully bound. “The year I got the silver medal I got another prize, I think for French, and I asked for what was then called a Sat-Monday bag – in other words a weekend bag, brown leather, and do you think, dear Head Mistress, that I could have a silver mounted umbrella as well? This Prize Day occasion would have been Sara’s last as a pupil. 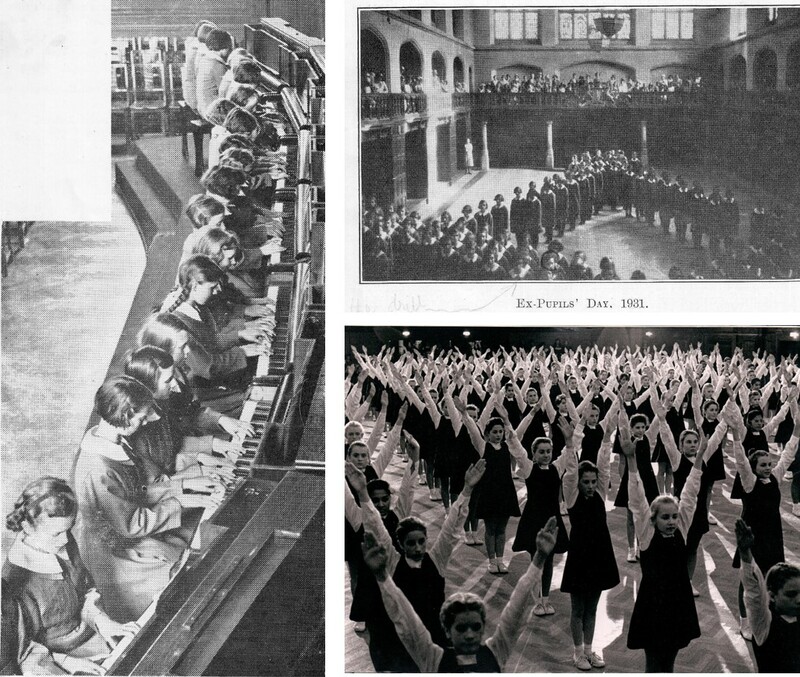 Due to leave school in 1905, she was retained as a pupil teacher in the Junior school: “My job was to teach the very junior pupils the 3 Rs – with no instructions on how to set about it.” The switch to pupil teacher brought not just a different status but also a small income. All the pupil teachers received two outfits and £1 a week – equivalent today to £112 so a bit more than pocket money. If they were kept on as teachers – and many were – they then became salaried staff with that salary rising incrementally as their experience and seniority grew. 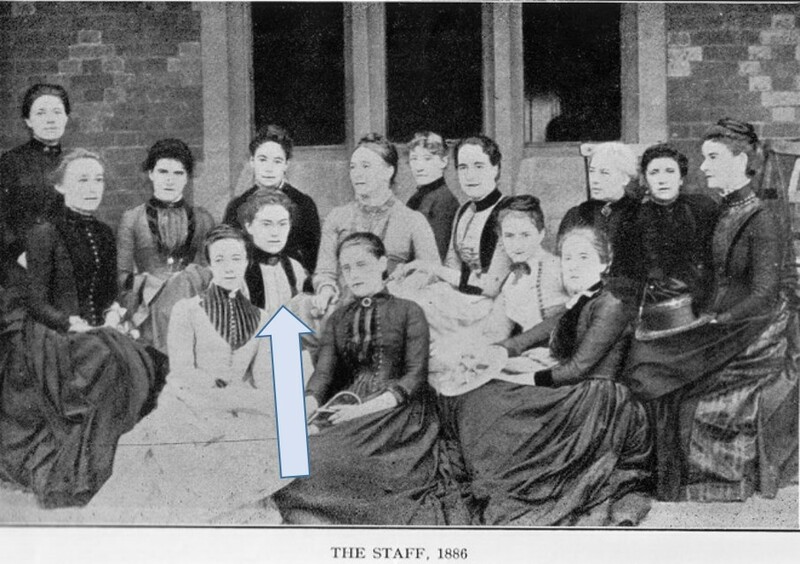 Most of the teaching staff had been pupils at the School; it was rare to find a member of staff who wasn’t. Sara’s headmistress, and the Headmistress before her and the one that followed (the redoubtable Bertha Dean) were all former pupils. 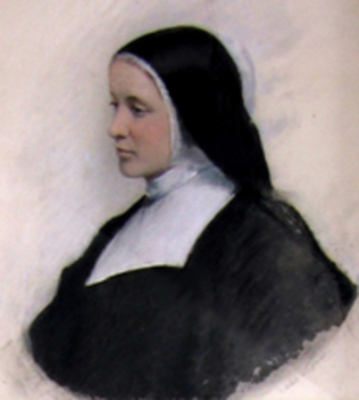 The British Chaplain in St Servan was able to place Sara as a pupil teacher with a group known as the Kilburn Sisters. Founded by Emily Ayckbowm in 1864, by 1875 it had opened an orphanage for girls known as the Orphanage of Mercy. It housed 500 girls by 1892. The Sisters established schools in many London parishes and at one of these, St Hilda’s in Paddington, Sara received kindergarten training. 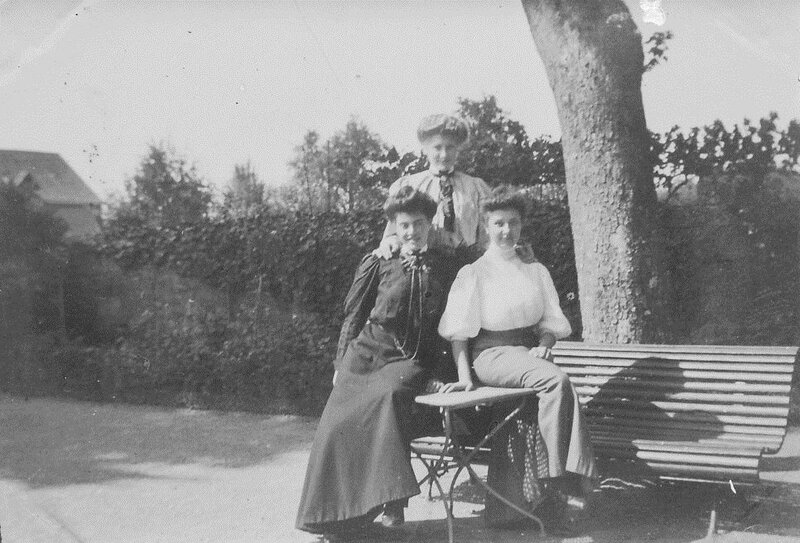 The picture below, taken in 1907, shows the three girls of the family together. Thus it was that, in 1909, Sara went to Australia as a Governess. We will follow her there shortly but for now, we will leave her on the cusp of a new life on a different continent.